Obituary – Kukuk, Audrey Elizabeth (Schieffer) « Perry High School Alumni Association, Inc.
Audrey Elizabeth Kukuk, 74, of Perry, Oklahoma was the daughter of Chris and Anna Mae (Neuerburg) Schieffer. She was born May 24, 1937 in Perry, Oklahoma and passed away on January 13, 2012 at Perry Memorial Hospital. She was a lifelong resident of Perry, Oklahoma. She graduated from Perry High School and was quite active in the Perry Alumni Association. On December 30, 1954 she married Herman Kukuk at the Payne County Courthouse in Stillwater, Oklahoma. They recently celebrated their 57th anniversary. Audrey was a retired school bus driver, driving for over 15 years for the local school district and to the Vo-Tech Center in Stillwater. 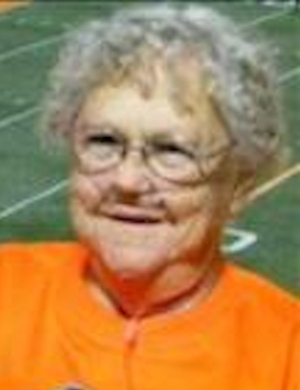 She was a member of the Zion Lutheran Church near Perry, OK, a loyal fan of the OSU Cowboys and an avid supporter of all her grandchildren and great- grand children’s sports activities. Audrey served as a 4-H Noble County Leader for 40 years and was very supportive of her family’s exhibits at the fair and all their FFA activities. She enjoyed serving on the Noble County Election Board. Sewing and crafts were her love. She made and shared clocks, blankets, Christmas stockings, baby bibs and did mending for her family. She was preceded in death by her parents and five siblings, Marie Ewy, Edie Cruse, Lillie Kukuk, Walt Schieffer and Paul Schieffer and one great granddaughter, Hannah Raye Kukuk. 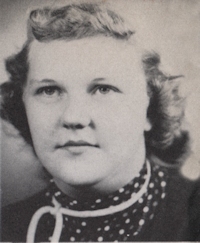 Audrey is survived by her husband of 57 years, Herman Kukuk of the home in rural Noble County, OK; seven children, Larry and Donna Kukuk, Marion, KS, Ray and Teresa Kukuk, Perry, OK, Robbie and Dava Kukuk, Perry, OK, Marissa and Gail Makovec, Ramona, KS, Anne Potter, Perry, OK, Tony and Jan Kukuk, Perry, OK and Sandra and Jed Kenaston, Orlando, OK; two sisters, Teresa Ann Rogers, Roseburg, Oregon and Christina Schneider, Salina, KS; 22 grandchildren and 24 great grandchildren. Memorials may be made to the Zion Lutheran Church Building Fund c/o the Perry Funeral Home 203 E. Fir St., Perry, Oklahoma.